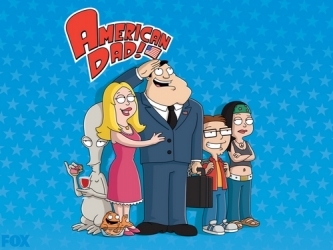 TBS announced today that it has renewed American Dad for Seasons 14 and 15. The long-running animated comedy is currently in its fourth year on the cable network after its move there from Fox in 2014. The show has done well at its new home, as it continues to be one of the top 10 comedies on cable television. TBS announced today that American Dad has been renewed for Seasons 12 and 13. The veteran comedy moved over to TBS last October from from its original home on Fox, and has since become basic cable's #1 scripted series on Mondays at 9:00pm among adults 18-34. The animated series has already been renewed for Season 11, which will air in early 2016. A total of 44 new episodes were ordered today for Seasons 12 and 13, which amounts to the standard 22 for each in 2017 and 2018 respectively. 'American Dad!' will have Steven Yeun, who plays Glenn from 'The Walking Dead,' to play the voice of Charles, the assistant to Francine. The episode will air later this season.